Service has always been a huge part of my life. My mother always made sure that my sisters and I were either volunteering at her hospital, the church, or whatever else she could find. I always found joy in it because the people we were serving were always so appreciative, even for the smallest things. That’s part of the reason why I decided to pursue a career in medicine– it’s a life full of serving others. In order to get to that point, there’s so much that has to be done. Clinical experience, prereqs, and of course, volunteering. Honestly, I was a bit overwhelmed. 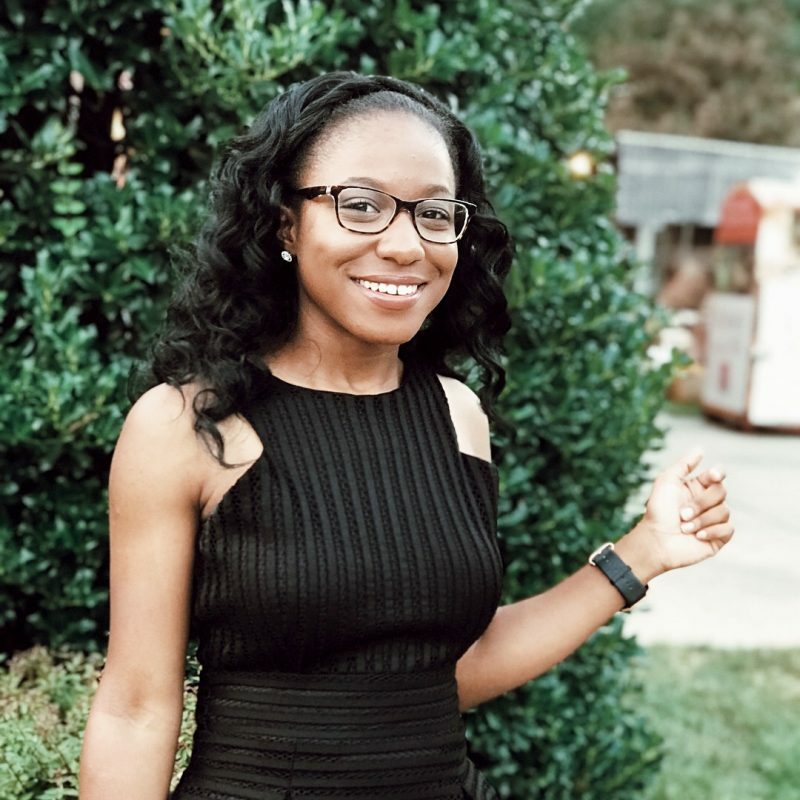 I knew that I wanted to continue doing community service and I also knew that serving the community is like one of the unwritten rules of getting into medical school. I would be an introverted college student in a huge city with no transportation. On top of that, I would have a schedule that was all over the place and a job. “How the heck am I going to volunteer? !”, I thought. Once school started, I applied to the local free clinics with no luck and I wasn’t able to get my TB shots in time so I could volunteer at the hospital, so I ended up volunteering at a couple of campus events on the weekends. It wasn’t anything consistent, but at least I was doing something. Recently, I’ve been volunteering at the preschool that I was working at last year for about 5-8 hours, two days a week. My supervisor basically approached me and I lunged at the opportunity. I’m going to try my best to volunteer for my school’s health system this semester simply because I miss the fast-paced environment. Now that I’m volunteering more consistently, I have to keep a personal record of my hours. This was different for me because back in high school we were given convenient little logs for us to take with us whenever we volunteered. I ended up making my own, first in the Notes app on my phone, then a nicer one on my computer (the one I’m sharing with you all today). Start looking early, like mid-July if you want to start in the fall and late-November/early-December if you want to start in the Spring. Do your Googles just so your’re familiar with the organization and the positon that you may be going for. Know how many hours you can handle just so you don’t bite off more than you can chew. Remember that volunteering is something that is much bigger than yourself; that’s literally the whole point. Join a student org: There are many student orgs that are really huge on giving back to the community. 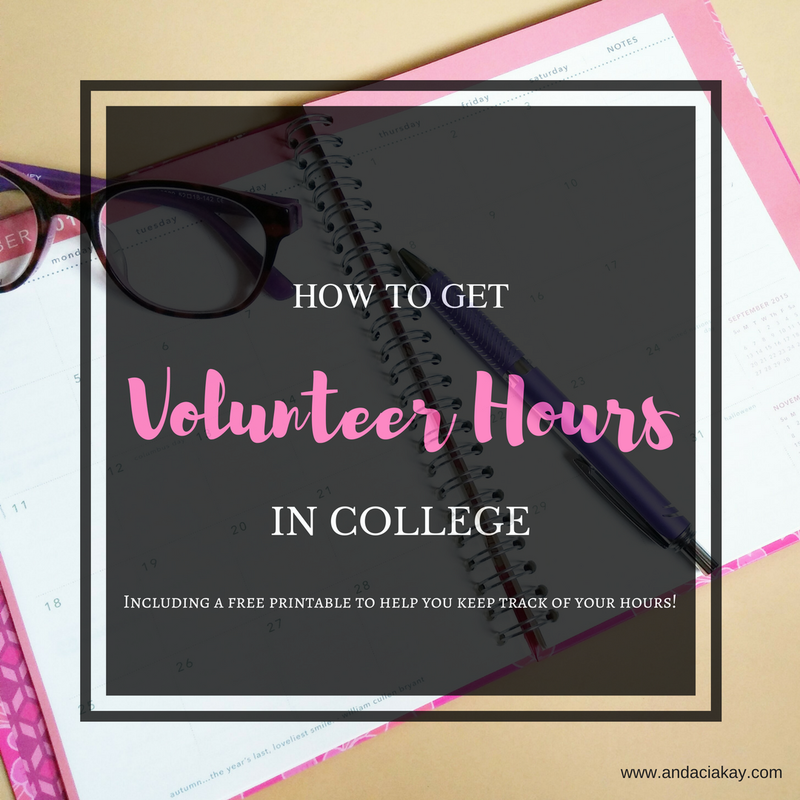 Some even require that you put up a certain amount of volunteer hours in order to be in good standing. Volunteer Match: This is a website that connects you with volunteer opportunies based on your location and interests. You can get notified of the opportunites through your email or directly through the site. Try your local hospital: I’m lucky enough to go to a school that has a hospital system, so a volunteer experience is literally a shuttle ride away for me. If you’re in the same boat, I suggest going this route. You dont even have to be pre-health either as there are plenty of non-medical volunteering positions in the hospital. Create your own volunteer experience: This is a tough one at face value, but it doesn’t have to be. You can do simple things like corral a few of your friends and pass out PB&Js to the homeless or make Christmas Cards for residents at your closest nursing home. Many volunteer programs already have straight forward application systems, so all you’d need to do is fill in the requested information. I think it’s important to have your ID on hand and the information of a couple of your references. Also, I would have my course schedule within in reach just to prevent overlapping my volunteer schedule with my classes. My name is ____ and I am a [classification] at [such and such] University/College. While I am very appreciative of the education that I am receiving, my experience would not be complete without giving back to the community. If you have any volunteer positions open, I would love to fill one of those spots. I am available [list days and times that you’re free]. I can be reached at [list phone number/email]. You might even want to go the extra mile and attach your resume. Make sure you know what’s expected of you and remember that you are there to be of service to others. So yeah, there will be times when you feel small and like you’re in the way, but I’m sure that somebody appeciates your presence and the work that you’re doing. Also, be sure to keep track of your hours! Be professional, be punctual, and be proactive. 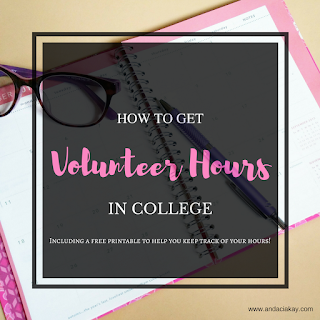 I need a lot of volunteer hours for some scholarships and my sorority, but I never know how to reach out to places! Great article! Yes, reaching out was also a hard thing for me to do. I found that the more I did it, the easier it became. Thanks for reading! !